It is with great sadness that Novello & Company Limited announces the death of John McCabe. John passed away peacefully, after a long illness, in Rochester, Kent on Friday February 13, aged 75. He is survived by his wife, Monica. 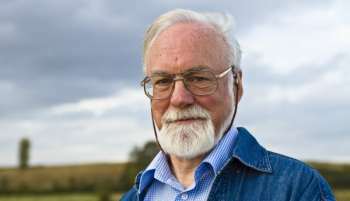 With John McCabe's passing we have lost a man of great wisdom, humour and integrity and a complete musician. A composer and pianist of the highest calibre, he shall be greatly missed. I am struck, when thinking back over John's career, and over a period of twenty years in which I have had the privilege of working with him, by his constancy. He was devoted as a pianist to the music of Haydn and Scarlatti, Rawsthorne, Bax and many other 20th century composers. John's recordings were the first introduction that many of us had to such repertoire. He was steadfast in accordance to his core beliefs as a composer. His scores were highly crafted and technically immaculate. But John's paramount aim was an immediacy of communication and expression. It is the greatest tribute to him that he achieved that in a comprehensive range of forms and mediums. My abiding memory of John will be his acceptance speech when receiving the Classical Music Award at the Ivors last year. It was quite extraordinary - self-deprecating, loyal to fellow composer colleagues, and immensely humorous - leaving everyone on their feet, cheering. That is as it should be. John McCabe enjoyed a long career as a composer. He decided upon this vocation as a young boy in Liverpool at the age of just five and a half. He went on to compose continuously until his final months of recent ill health. After studies at the Royal Manchester College of Music, now the Royal Northern College of Music, and in Munich, he embarked on an international career as composer and pianist. His complete CD survey of Haydn's Piano Sonatas for Decca has become a landmark recording. McCabe worked in almost every genre, though large-scale forms lie at the heart of his catalogue. His most recent work, Christ's Nativity, was commissioned by the Hallé Choir and was premiered in Manchester in December 2014. His compositions, published by Novello over a relationship of more than fifty years, number in excess of 200 works. A formidable catalogue of works spans full-length ballets such as Edward II and the two-part Arthur for Birmingham Royal Ballet, symphonies and concertante works, and music such as Notturni ed Alba for soprano and orchestra and The Chagall Windows for orchestra placed him at the centre of the repertoire. His output of chamber music is equally outstanding and he made a major contribution to piano music. McCabe was appointed CBE by Her Majesty The Queen in 1985 for his services to British music. In 2004 the Incorporated Society of Musicians honoured McCabe with the Distinguished Musician Award in recognition of his 'outstanding contribution to British musical life'. Then, in 2006, Liverpool University awarded him an Honorary Doctorate in Music. Most recently, during his 75th Birthday year in 2014, he was presented with the Ivors Classical Music Award.